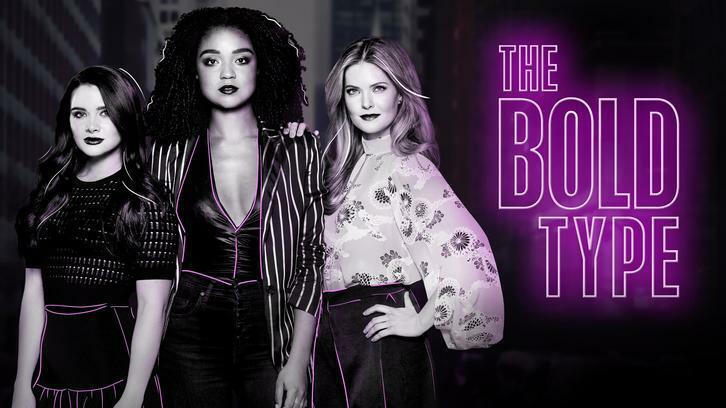 This week on The Bold Type, Jane finds out that Sutton has been keeping a gun in the apartment and freaks out. She decides to write about it and tries to see it from Sutton’s point of view. They argue a lot and in the end, Sutton gets rid of the gun. 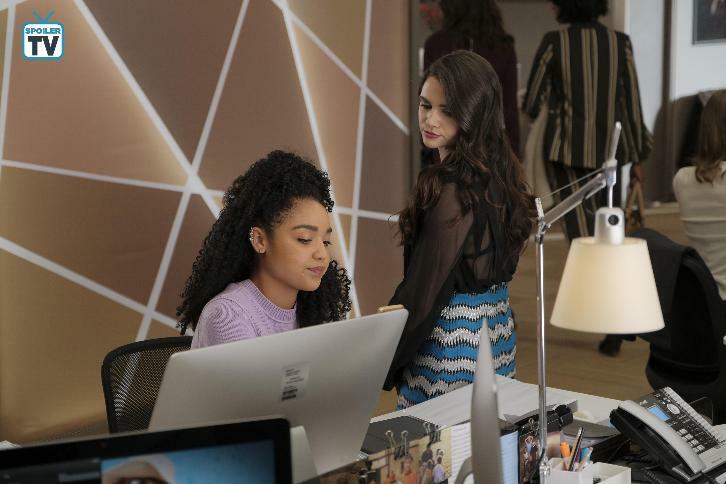 Adena suggests an open relationship to Kat, who hits the dating scene. Brooke has been blackballing Sutton because the latter didn’t want to hang out with her. My 2 cents: Honestly, what could I possibly add to the gun debate that hasn’t already been said? Personally, I don’t get America’s stance on guns. I live in Europe, we don’t all have guns in the house and guess what else we don’t have … mass shootings. So for me, it’s a simple connect the dots situation. But I did like the perspective that the show went with this week. Because it wasn’t your typical gun debate. Jane, like me, didn’t get why Sutton liked shooting so much. And it’s not that she didn’t want to get it, she really did. She wanted to understand so that this wouldn’t stand between her and her best friend. But you could see just how uncomfortable she was at the shooting range. And I get that she didn’t want it in the house, she doesn’t need a specific reason for that. I don’t think I’d feel very safe either. And I also understood some of the points that Sutton made, though not all. For instance, I don’t agree with the whole “guns don’t kill people, people kill people” explanation. You’re telling me there’s no difference to when a guy walks into a school with an assault rifle or with a knife? Okay. But the most important part of this storyline, as Jacqueline pointed out, was that Jane tried to look at it from 2 sides as did Sutton. Both of them talked about it as adults using logic (which a lot of politicians lack). In the end, it turned out that Sutton mostly liked it because it gave her control and she got rid of Betsy. She didn’t have to do that, she could’ve kept it somewhere outside of the house, but I think that this was an important step for her to find control in other ways. We don’t hear Sutton talk about her mother very often. One of the synopses for a future episode states that the girls will be headed to Sutton’s hometown so I feel like the writers are building up to something with her family. I guess we’ll find out soon. Fake: Speaking of Sutton, the reason she felt so not in control this week was thanks to Brooke. How petty do you have to be to blackball someone because they don’t want to hang out and pay for your cocaine? Because I doubt Brooke really even wanted to hang out with Sutton. And sure, Sutton was using her too but isn’t that the point of networking? I honestly hope this is the last we see of Brooke but I still think the cocaine thing will come back around the finale. I’m glad Oliver was able to fix the bag situation, though. I felt a bit bad for Sutton that she spent all of this time panicking when there was such a simple solution. But she did do absolutely everything she could, which is a testament to her stubbornness and willpower. And once again it was very refreshing to see Oliver react kindly and understandingly while also firm, rather than to yell at her (I’ve been watching Jane by Design and there’s a lot of yelling at the assistant there). Awkward: I understand why Adena suggested an open relationship, and in theory, I think it’s a good idea, but this felt really awkward. I don’t see this lasting very long. 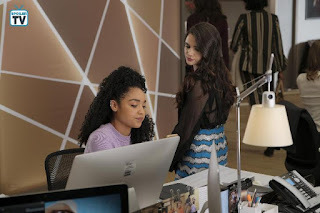 Yes, Kat should get these curiosities out of her system and she should be able to figure out what she likes but talking to Adena about it probably wasn’t the best idea. I’m surprised she didn’t go to Jane or Sutton with this. Adena made that rule for a very specific reason and if Kat keeps talking to her about it, it may put a strain on their relationship. I hope things get back to normal for them soon. I fear that the longer this goes on, the further apart they’ll grow.